Address: 431 Chester Rd, Woodford, Stockport, Cheshire. At Etre Belle our highly experienced and friendly beauty team provide market leading premium treatments in luxury surroundings at affordable prices: CACI Non-Surgical Facelift; Crystal Clear Microdermabrasion Facials; Dermalogica Facials; Bio Sculpture Gel & Shellac Gel Polish Nails; Intimate Waxing; HD Brows; Universal Contour Wrap; Shrinking Violet Bodywrap; Laser Hair Removal. We have three beautiful treatment rooms, each of which have been purposely designed to encapsulate our philosophy of “relaxation, revitalisation & rejuvenation”. We have created a Utopia just for you; a place where all the stresses & worries of everyday life will be whisked away! Flora Cottage Boarding Kennels and Cattery open 9am – 5.30pm based in the heart of Woodford village. GreenThumb are the people to call. The simple treatment plan is designed to give you a weed free, lush green lawn that you can be proud of and it doesn’t cost the earth! Green Thumb Lawn Treatment AdvertThe GreenThumb service can be adopted at anytime of the year and within a couple of weeks you will notice an improvement! Lawn Scarification & Hollow Tine Aeration is also available to tackle the build up of thatch in lawns and to relieve compaction in the soil. We offer free advice and free service calls to answer your lawn concerns, or simply to advise on mowing practices! Address: 433 Chester Road, Woodford, Stockport, Cheshire. From the moment you enter Hush Spa you will be taken on a unique journey that has been created only for you. Your suite becomes your private sanctuary, where your therapist delivers lifestyle solutions tailored to suit you. We believe in the highest quality of service and pride ourselves in customising each treatment for our clients. Our highly trained and experienced therapists, hand-picked for excellence will provide the kind of spa experience you wouldn’t think possible; expert treatment combined with individual attention, warm hospitality in a homely environment. Hush Beauty Spa Offers Beauty and Holisic Treatments. We sell Decleor, St.Tropez,Jan Marini, Jane Iredale Mineral Make-Up, Jessica Treatments and GELeration. Igloo Architecture was set up in August 2008 to do things differently. The two founding directors, with 40 years post-qualification experience between them, have set out to reinvent the architectural process.We are committed to delivering to our clients the right scope and level of service for each individual project. The success of a project often derives at the outset from clarity of thought in the appointment of the architect. Design is a process in which to be meaningful the client must engage. Only when this happens can a successful solution result. We have a profound understanding of how to manage the process of design from inception to completion. Address: 394 Chester Road, Woodford, Stockport, Cheshire. We are able to offer design and advisory services, independently or collaboratively working alongside your design team bringing special expertise in building performance and delivery. Address: 547 Chester Road, Woodford, Stockport, Cheshire. All Olivers’ menus change with the seasons, utilising the very best produce available at the time. The main menu is a showcase for their à la carte dishes, carefully crafted to create exciting flavours with colourful presentation. Olivers’ daily specials, created by the head chef from market fresh produce, give the menus variety and constant change. Southfield House is a Residential Care Home since the late 1980’s, Southfield House has been under its present ownership since July 2000. Our aim is to enable older people from our multi-cultural and socially diverse town to continue living as independently as possible by receiving care and support consistent with their capacities and abilities. Southfield House has all single rooms, which allow our residents to lead as individual and as private a life as they choose. In addition, there are communal areas for reading, meeting and chatting, viewing television and, of course, for dining, which individuals may use as frequently or as infrequently as they desire. As well as traditional residential care we now offer ‘Assisted Living’ in our dedicated facility ‘Norwood’. We have a lovely large garden with its own south facing patio area and provide a range of activities most days throughout the year. Most importantly, our team of 26 professionally-trained and experienced staff is dedicated to ensuring that the health, personal and social care needs of each individual resident are met each day. Anyone over the age of 65 years is welcome to apply for a place at Southfield House. Our current residents are aged from early 70’s to over 100. We are committed to ensuring that no one is excluded on the grounds of his or her ethnicity, religion or culture and we discuss with applicants how their individual and cultural needs can be met. Address: Hill Top Farm, Chester Road, Woodford, Stockport, Cheshire. Overlooking rich Cheshire pastureland with panoramic views extending to the Derbyshire and Yorkshire Pennines, you can enjoy a private setting in The Wedding Meadow at Hill Top Farm which affords you the freedom to create your unique occasion. Hill Top has been a working family farm since 1927 and we offer a fine grass paddock for a bespoke marquee or tipi reception on your wedding day. Our setting gives you the opportunity to be creative with your wedding or event and there are no restrictions for caterers, marquee companies or other suppliers. 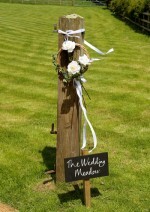 If you wish we can recommend suppliers from previous events at The Wedding Meadow. Address: Unit One, Longfield Farm, Hall Moss Lane, Woodford, Stockport, Cheshire. Established in 1983, Tony Greatorex is a factory trained independent Porsche specialist. Classic and modern Porsches serviced and repaired in fully equipped workshop with diagnostics. With over 30 years of Porsche experience all work is carried out to the highest standards, and at competitive prices.